YOU'RE READING "If I saw a body like mine on a mag when I was a young girl, it would have changed my life"
Will more glossies be taking this route? Seeing a curvy model on the cover of a magazine is a pretty rare occurrence. Seeing a size 22 model in a swimsuit is almost unheard of. Cosmopolitan UK just changed that. Say hiya to our amazing cover star - @tessholliday! The October issue is out 31 August. Buzzfeed News notes that unlike many other magazines who've featured curvy models on the cover, this time around the model is not clad in coat, covering all her curves. Rather, she's wearing a dope one-piece swimsuit. 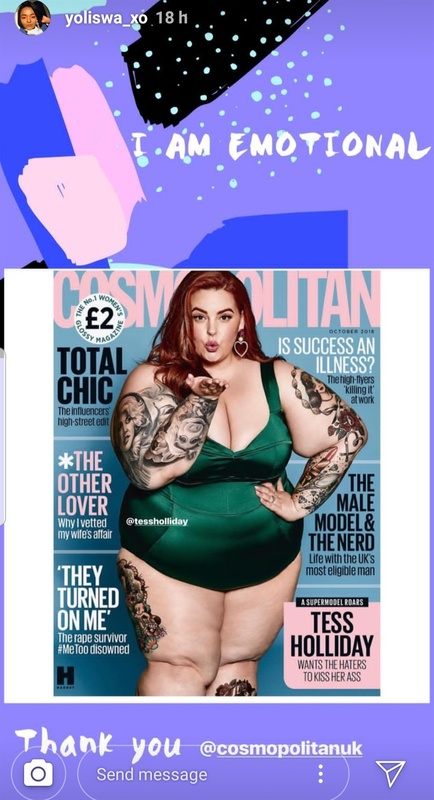 Tess Holliday, is 33 and a size 22, US-based curvy model who has covered magazines like SELF and authored a book called The not so subtle art of being a fat girl, is the first-ever size 22 woman to be featured on a COSMO cover. When the mag dropped this week, she tweeted her elated reaction on Twitter, saying "Phew, I’m literally a COSMO GIRL!! Can’t believe I’m saying that! ???? Thank you @CosmopolitanUK for this incredible opportunity ???? If I saw a body like mine on this magazine when I was a young girl, it would have changed my life ?? Issue hits stands 8/31! ". Local curvy model Yoliswa Mqoco posted this on her Instagram Stories. @ravishly We’re not crying, we’ve just got some representation stuck in our eye ? ?Huge congrats to @tessholliday on her COSMO cover! We’re so thrilled to see a fat body on the cover of a mainstream glossy ?????????? And looking absolutely stunning, too! @joannemcnallycomedy?? WOW?? Remember when we were teenagers, and all we had was 'Heroine Chic' to look up to? That was all there was! The whole of the 90s was just Mag covers full of emaciated models sticking out the top of Calvin Klein knickers. 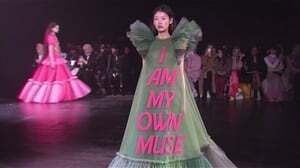 Ribs & bones popping out from all over the place & they were heralded as fashion goddesses ???? anyways, thank F&$KKK those days are gone. 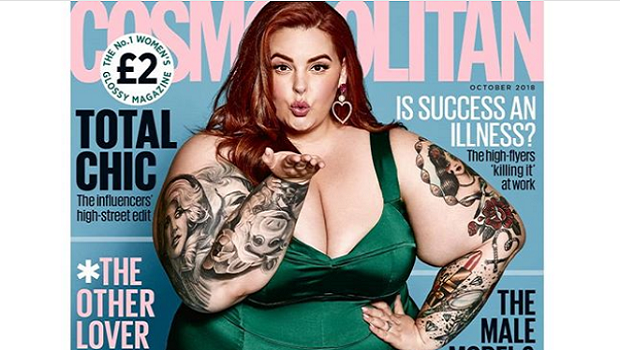 Check out @tessholliday on the front cover of @cosmopolitanuk ?? And many more responses noted the importance of representation, saying they wish there were more women with curves on magazine covers, instead of just the one ideal of beauty, usually a very skinny model. Lately, we've seen an increased representation of curves in fashion campaigns, ads and even on the runway, but magazine covers have lagged behind in this push for curve visibility.